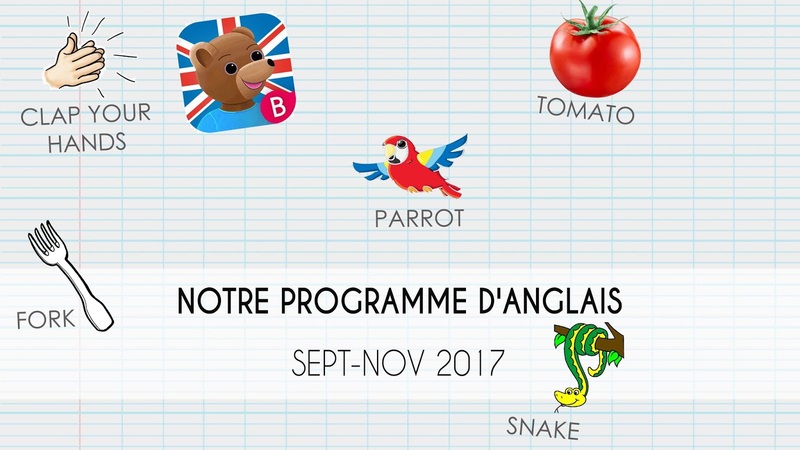 3 PREMIERS MOIS D'APPRENTISSAGE DE L'ANGLAIS ? => Can you set the table ? => Can you put the ... on the table ? => Do you want some water ? => Put on your clothes / socks / shoes / pants-trousers / shirt / coat ! => Brush your teeth / Have you brushed your teeth ? => Wash your face ! => Breakfast is ready ! => You catch me ! => It's too early ! => Here we are finished ! - Visionnage du clip "If you're happy and you know it"
=> Clap your hands ! => Stomp your feet ! => Do the robot ! Vidéo "How are they feeling now?" => Can we play ?